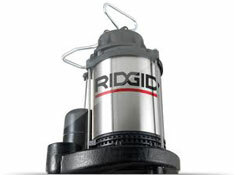 This task ensures proper operation of sump pump, which reduces risk of serious water damage. NOTE: The tasks and timings shown here for your Sump Pump are based on a single-family home (owned), located in Massachusetts, United States, with priority set at ‘1 star' or higher, for all possible goals. If you set your personalization differently in your Home Wizard app, then you may get reminders for different tasks and timings in your recommended home care program for your Sump Pump. Check the inlet suction screen to be sure it is not blocked or plugged with debris. Clean out as necessary. To check operation of the sump pump motor, pour water into the drain area and see if the motor turns on when the float rises with the water level. Repair as necessary. The benefits of this task are high, in that it helps to prevent very costly water damage, especially if you have a finished basement. The cost of this task is low from an investment of time standpoint, as once you have done it the first time, it is much easier the next. It should only take about 30 minutes to complete.